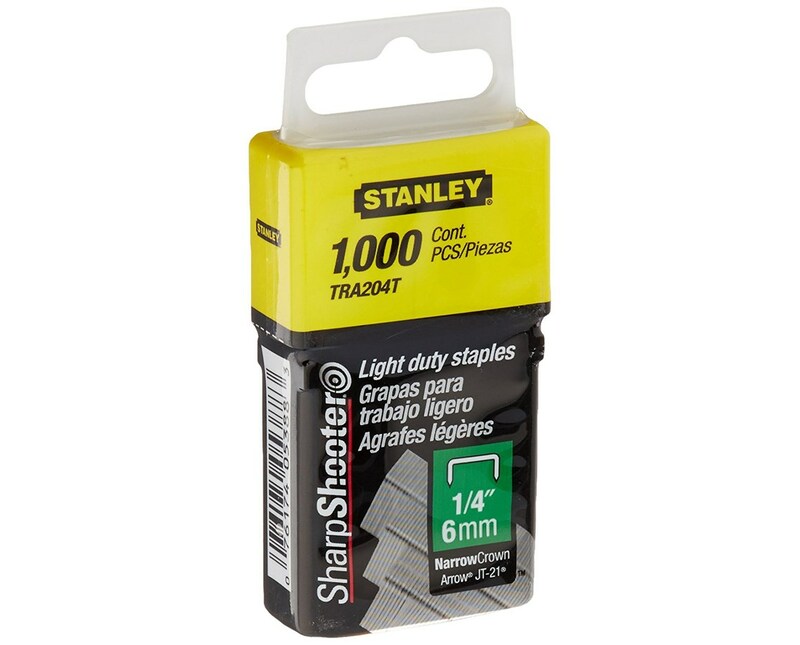 The Staples For Stanley-Bostitch Sharpshooter Light-Duty Tacker Staple Gun is ideal for most household and crafting stapling jobs. 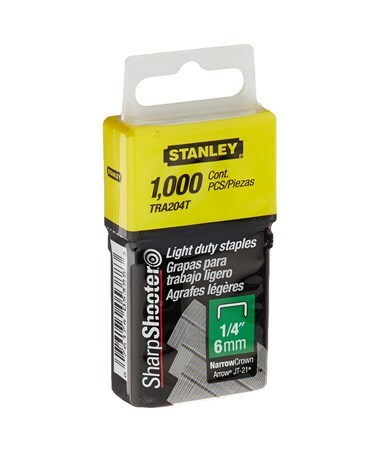 It includes 1,000 staples in one package and fits Stanley-Bostitch Sharpshooter Staple guns. 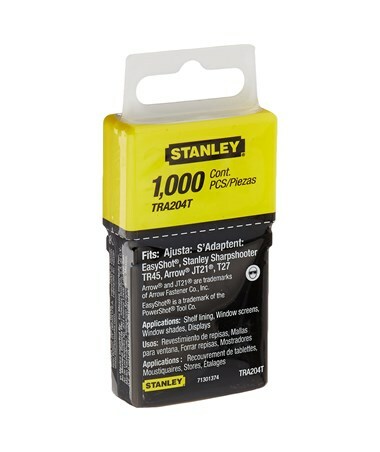 It comes in two different sizes—¼ inch (six millimeters) and 5/16 inch (eight millimeters)—to accommodate various needs. 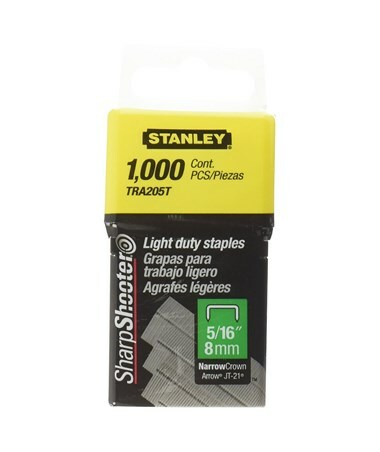 The Staples For Stanley-Bostitch Sharpshooter Light-Duty Tacker Staple Gun comes in two different sizes. Please select your preference from the menu above.